The action unfolds later tonight (Sat., Feb. 9, 2019) at UFC 234 live on pay-per-view (PPV) from inside Rod Laver Arena in Melbourne, Australia, as middleweight champion Robert Whittaker officially defends his title for the first time against dangerous contender Kelvin Gastelum. 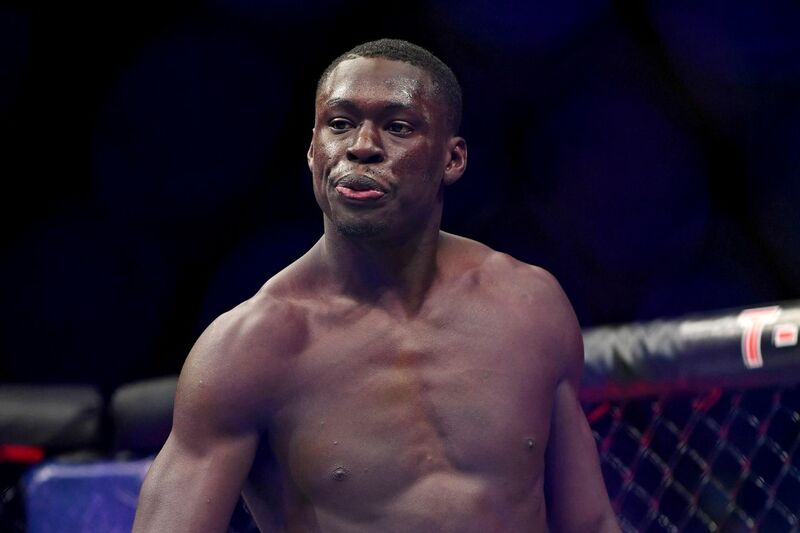 Before Whittaker vs. Gastelum leads a PPV card that also features a co-main event clash between former middleweight king Anderson Silva and undefeated sensation Israel Adesanya, a slew of preliminary bouts will unfold on Fight Pass and ESPN. UFC 234: Whittaker vs. Gastelum “Prelims” can be viewed via ESPN. Check your local providers or click here for instant access to ESPN. Canadian viewers can watch UFC 234 “Prelims” via TSN Network. If you find yourself mobile tonight and unable to view UFC 234 from the comfort of your own home, feel free to find a participating bar near you! MMAmania.com will deliver LIVE round-by-round, blow-by-blow coverage of the entire UFC 234 fight card, starting with the Fight Pass “Prelims” matches online, which are scheduled to begin at 6:30 p.m. ET, then the remaining undercard balance on ESPN at 8 p.m. ET, before the PPV main card start time at 10 p.m. ET. Ultimate Fighting Championship (UFC) is bringing a bevy of “Prelims” fights to both UFC Fight Pass and ESPN this weekend (Sat., Feb. 9, 2019) when UFC 234: “Whittaker vs. Gastelum” storms Rod Laver Arena in Melbourne, Australia. MMAmania.com’s Patrick Stumberg continues the UFC 234 “Prelims” party with the second (and final) installment of a two-part undercard preview series below. 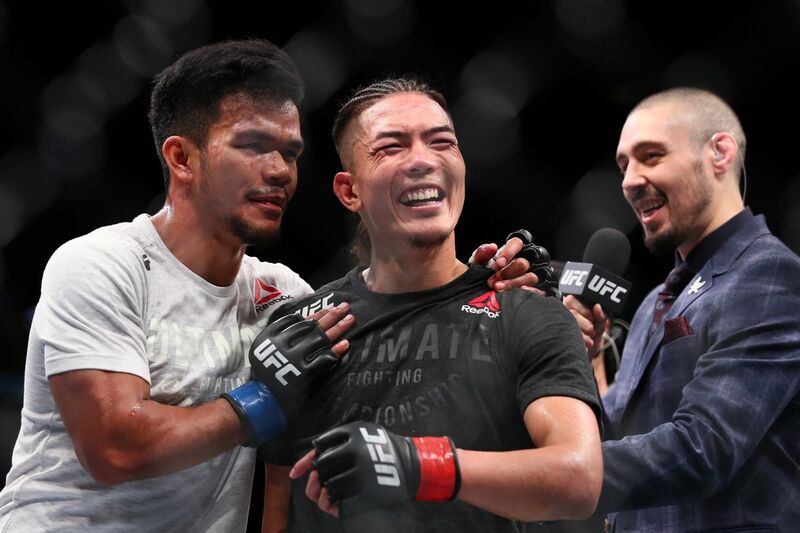 Two of the Middleweight division’s most entertaining strikers slug it out in Melbourne this Saturday when champion Robert Whittaker settles his Ultimate Fighter rivalry with Kelvin Gastelum. 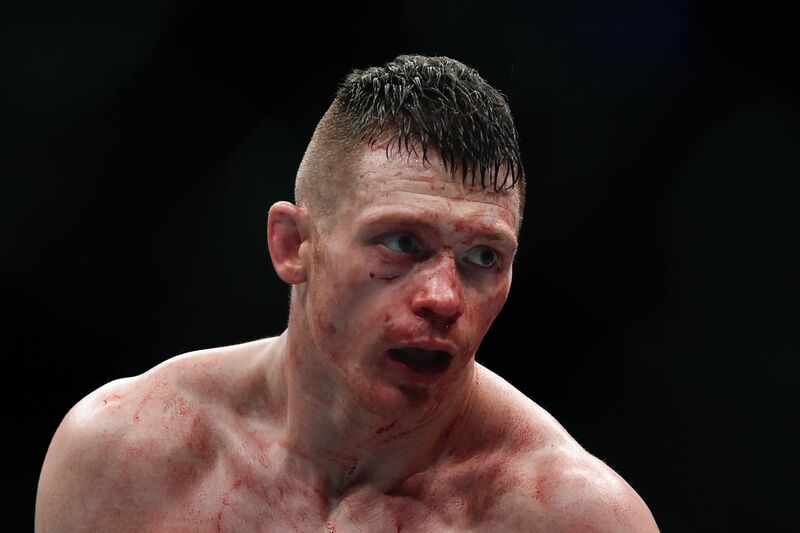 Also at 185 is the clash between rising star Israel Adesanya and division GOAT Anderson Silva, while local boy Jim Crute takes on late replacement Sam Alvey 20 pounds north. Devonte Smith (9-1) dispatched Joseph Lowry with elbows on “Contender Series” for his fourth consecutive win and a shot in the Octagon itself. Three months later, he took on fellow alumnus Julian Erosa and knocked him flat in just 46 seconds. “King Kage” has knocked out eight opponents and submitted one other. Dong Hyun Ma (16-8-3) — formerly known as “no, the other Dong Hyun Kim” — suffered a highlight-reel knockout loss to Dominique Steele in his Octagon debut, then unsuccessfully slugged it out with Polo Reyes in one of 2016’s fights of the year. He has since won three straight, most recently edging Damien Brown in hostile territory. This will be his first fight in almost exactly a year. I’m fond of Ma, as I’d imagine anyone would be after seeing the battle with Reyes, but I’m also realistic about his chances. He’s a decent grappler with a knack for brawling, and barely beating Brown isn’t enough to convince me that he can hold his own against the upper half of the division. Austin Arnett (15-5) came up short against Brandon Davis on “Contender Series,” snapping a 13-fight win streak, but impressed enough in defeat to get the Octagon call five months later. After opening his Octagon career with consecutive losses to Cory Sandhagen and Hakeen Dawodu, Arnett finally re-entered the win column in Nov. 2018 with a decision over Humberto Bandenay. He stands four inches taller than Young at 6’0,” but will give up a half-inch of reach. Shane Young (12-4) stepped up on extremely short notice to fight Alexander Volkanovski in his UFC debut, surviving to the bell but losing the decision. “Sugar” returned the following June against Rolando Dy, polishing off his fellow striker with an elbow and punches in the second round. Six of his 10 stoppages have come via (technical) knockout. Neither of these two will ever sniff the Featherweight elite, but they’re both plenty fun to watch and come to bang. We should get 15 minutes of quality striking action, both men being extremely durable and capable of pushing a solid pace. I honestly can’t come up with a good breakdown for their respective striking games and why you should favor one or the other — it’s just good matchmaking of mid-tier 145 pounders. Young seems a mite bit sharper, though, and has home field advantage on his side. He edges out Arnett over three competitive rounds. Kai Kara-France (18-7) scored one of the nastier finishes on TUF 24, knocking out Terrence Mitchell in 30 seconds, but wasn’t called back for the Finale after losing to Alexandre Pantoja. 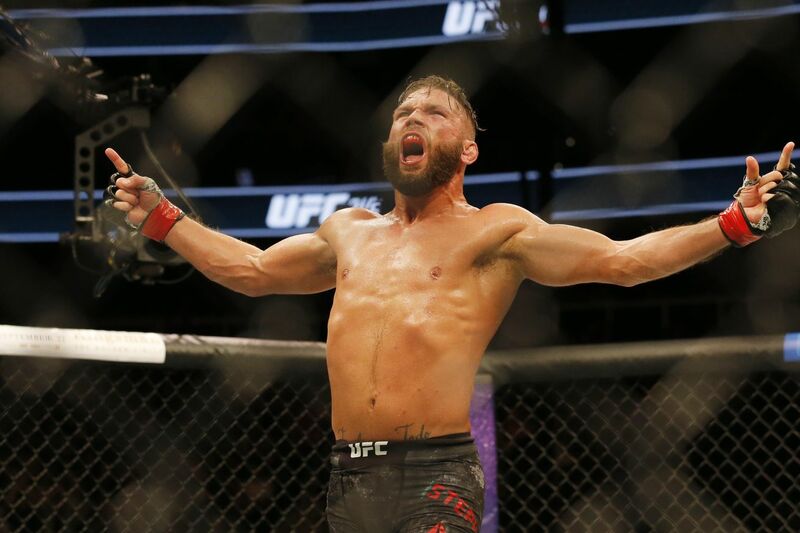 He proceeded to win five of his next six bouts, then entered UFC with a “Fight of the Night” war against Elias Garcia in Dec. 2018. Nine of his professional wins have come by form of knockout. Raulian Paiva (18-1) — ranked among Brazil’s top Flyweights — put together an 11-fight win streak on his way to “Contender Series.” There, he took home a hard-fought split decision over Chute Boxe product Allan Nascimento, and even getting hit by a car afterward wasn’t enough to stop him from making his debut this Saturday. Watching Paiva in action on the Contender Series, I saw an aggressive, willing striker with top-notch scrambling and takedown defense. 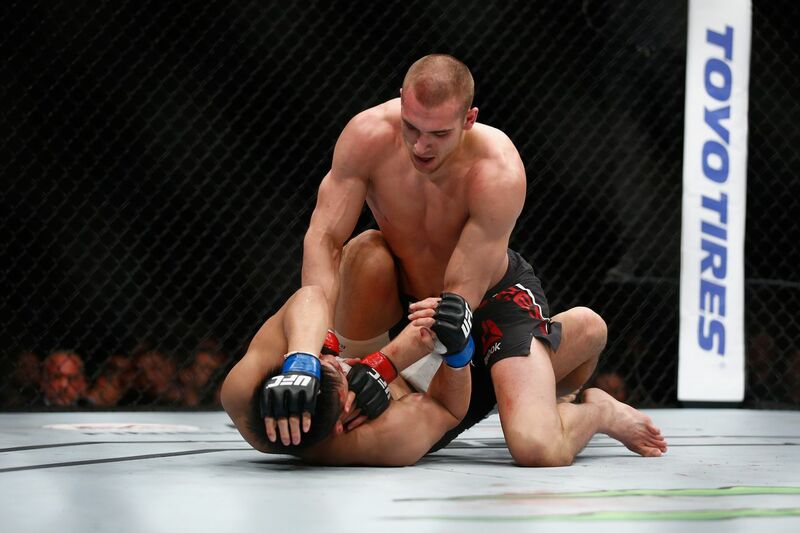 Unfortunately, he showed some real defensive issues, and his two professional knockouts suggest that he doesn’t have the firepower to make up for them in exchanges. Kara-France, on the other hand, most certainly does. Paiva’s rushes open him up to counter-fire and Kara-France, who welcomes wild exchanges, just hits too damn hard for that to work. Kara-France levels him after most of a crazy first round. The charisma and show-stopping power of Teruto Ishihara (10-6-2) made him a fan-favorite as he went unbeaten in his first three UFC bouts. “Yashabo” is just 1-4 since, however, most recently suffering the first knockout loss of his career at the hands of Petr Yan. All but one of his eight knockout victories have come in the first round. Kyung Ho Kang (14-8) took home “Fight of the Night” for his 2014 split decision over Michinori Tanaka, then left the sport for his mandatory military service. “Mr. 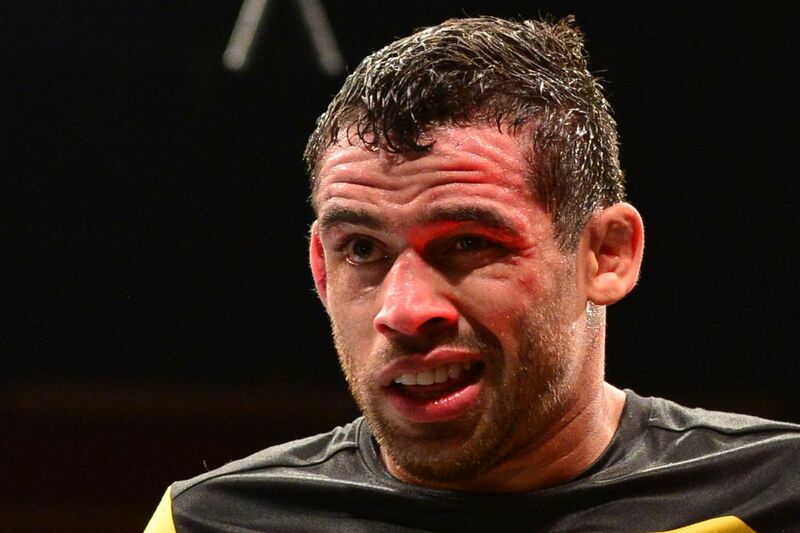 Perfect” returned in Jan. 2018 with a triangle finish of Guido Cannetti, then lost a narrow decision to top prospect Ricardo Ramos seven months later. He is two inches taller than Ishihara and will have a four-inch reach advantage. I was really hoping that Ishihara could become something more than just a mouth and a big left hand, but even not even the Team Alpha Male coaching staff was enough to get him to knuckle down. I’ve given up hope of him being anything other than an action fighter; one would imagine that the wake-up call would have come by now. Ishihara’s subpar wrestling and lack of setup for his left hand play right into Kang’s hands. “Mr. Perfect” is a terrific grappler with some impressive size and strength for the division; he may not need more than one takedown to end Ishihara’s night. “Yashabo” comes out slugging, but Kang swiftly drags him to the mat, moves to mount, and secures the finish. Whittaker is violent poetry in motion and Gastelum is as dangerous as he is relentless. Don’t miss it! See you Saturday, Maniacs. Remember that MMAmania.com will deliver LIVE round-by-round, blow-by-blow coverage of the entire UFC 234 fight card on fight night, starting with the Fight Pass “Prelims” matches online, which are scheduled to begin at 6:30 p.m. ET, then the remaining undercard balance on ESPN at 8 p.m. ET, before the PPV main card start time at 10 p.m. ET. To check out the latest and greatest UFC 234: “Whittaker vs. Gastelum” news and notes be sure to hit up our comprehensive event archive right here.